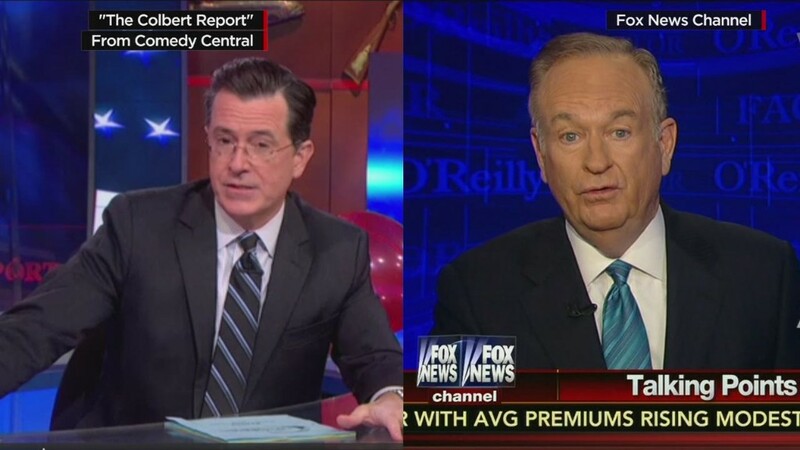 The Colbert Nation tuned in big time to say goodbye to "The Colbert Report." On Thursday, 2.5 million viewers watched as Stephen Colbert ended his very popular satirical news show, "The Colbert Report." This made the finale the most-watched episode in the show's history. And that number may even grow considering that "The Report" was shown at 11:30 at night, and many viewers may watch the sendoff days later thanks to their DVRs. 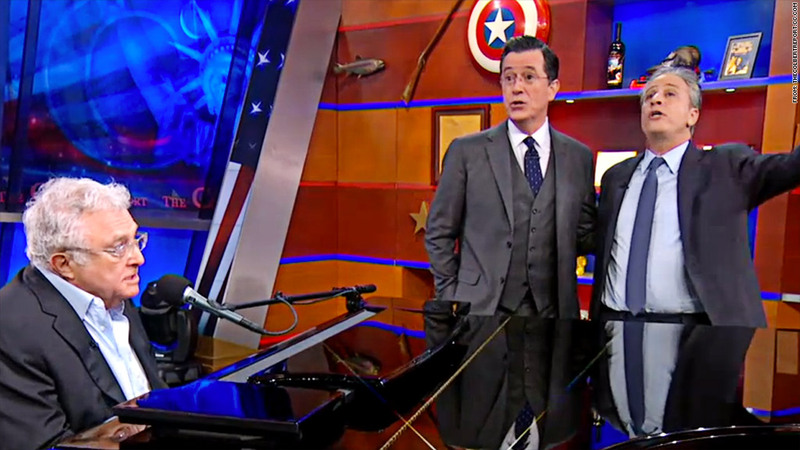 After nine years, Colbert said goodbye to his patriotic pundit persona in grand fashion. First by killing his guest, The Grim Reaper AKA Grimmy, and then riding off into the night with Santa Claus, Abraham Lincoln and Jeopardy's Alex Trebek. However, Colbert wasn't the only one who said goodbye to the character. In a nearly five-minute sing along to "We'll Meet Again," Colbert was joined by a stage full of people singing Colbert's persona off into the sunset. This included the Daily Show's Jon Stewart, musician Randy Newman, ESPN's Keith Olbermann, actor Bryan Cranston, NBC's Tom Brokaw, New York City mayor Bill de Blasio, "Star Wars" director George Lucas, CNN's Christiane Amanpour, and even Sesame Street's Cookie Monster. Colbert will be taking over the CBS "Late Show" from David Letterman sometime in 2015. The show will be owned by the network. As for Comedy Central, it will fill Colbert's slot with the new "The Nightly Show starring Larry Wilmore" starting on January 19.